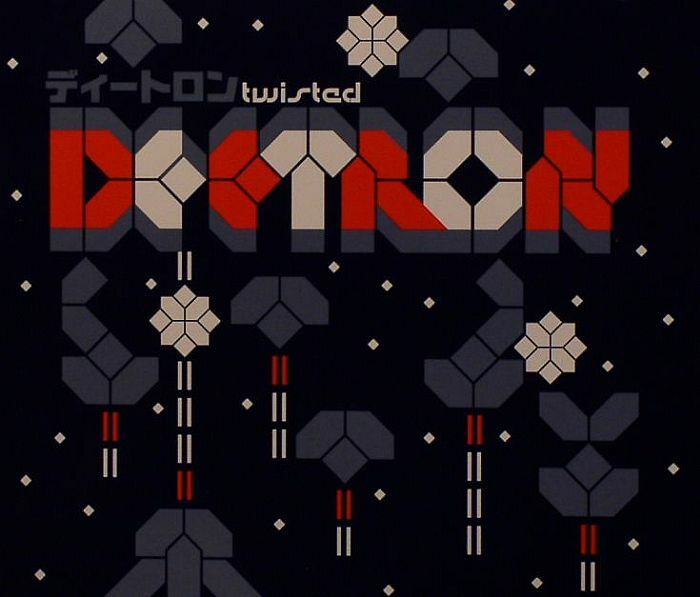 DEETRON Twisted vinyl at Juno Records. Swiss-born Deetron (aka Sam Geiser) unveils his debut album 'Twisted' on Belgium's esteemed Music Man imprint. As proven by his constantly expanding catalogue of productions, Deetron is capable of creating tracks that sit happily within the context of a DJ set (something he understands very well), whilst avoiding landing in the often throwaway category of 'DJ tools'. 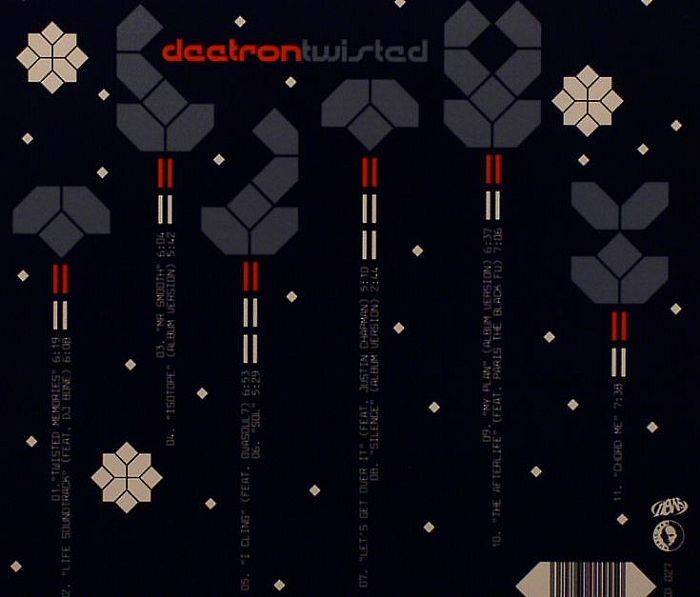 As with many of the more dynamic turntablist-styled techno and house DJs, Deetron took his early cues from hip-hop, before being won-over by the early sounds of Chicago and Detroit. His DJing - then still in its infancy - followed this influence, steering his 'career' in a more 4/4 direction - eventually landing him a resident spot at reputed Zurich club, Trax. Deetron's production career developed in tandem, as is often the case. Early work for labels such as Phont and Intec through the late nineties and 2000, saw Deetron finding his audience (including a string of International club jocks) and developing his own sound. In the last few years, Sam's production touch has graced labels including Cosmic (as Karakter), Ongaku (the 'Lorraine EP'), SLS and the classic Detroit styled 'Miss Suave' on Intec which has become a dancefloor anthem all over the world. Born in Bern, Switzerland, music was a constant in the Geiser family home. Sam's father's activities as a jazz musician ensured that he was surrounded by music from a very early age, sewing the seeds of his own musical interests. But it was hip-hop that encouraged this to flourish into an active involvement in music, during his teens. Sam soaked-up the music of Gangstarr, A Tribe Called Quest and Prince Paul like a sponge and was quick to realise the role of the turntable within this context, taking up DJing in 1992. Early hip-house producers, such as Todd Terry, also captured his attention and Sam began to make the transition to more 4/4 orientated sounds - picking up on the now classic output of Chicago and Detroit based electronic musicians and introducing this into the sets he was, by now, playing around his home town, and further a field in Switzerland. A meeting with Stefan Riesen, head of the fledgling Phont music, led to the release of Deetron's first single - as Soulmate, in 1997 but possibly the most fruitful partnership of his career so far is that with Belgium's Music Man label. Beginning with the 'Dolls For a Diva' 12" in 2001, and including several more 12"s and a superb mix CD that acts as ample testament to Sam's skills behind the turntables, Deetron now releases his first artist full length album. Combining Sam's love of house, classic techno, electro, Latin and jazz influences, 'Twisted' is a beautiful journey through an electronic landscape littered with orchestral sweeps, delicate pads, sublime Robert Owens-esque vocals, dancefloor beats and heart tugging strings. Featuring guest appearances from Subject Detroit's DJ Bone, LA based singer Ovasoul 7, vocalist and guitarist Justin Chapman, who is also one-half of the Atlanta-based DJ/production duo KemeticJust and the one and only Paris The Black Fu from the Detroit Grand Pubahs 'Twisted' is a dancefloor journey from beginning to end. From the opening bass rumble of 'Twisted Memories' to the old school Chicago vox stylings of 'Life Soundtrack' and the Drexciyan wiggle of 'Isotope' to the demented refrains of 'The Afterlife', Deetron shows us that techno can still conjure moments of beauty whilst still keeping us on the dancefloor.